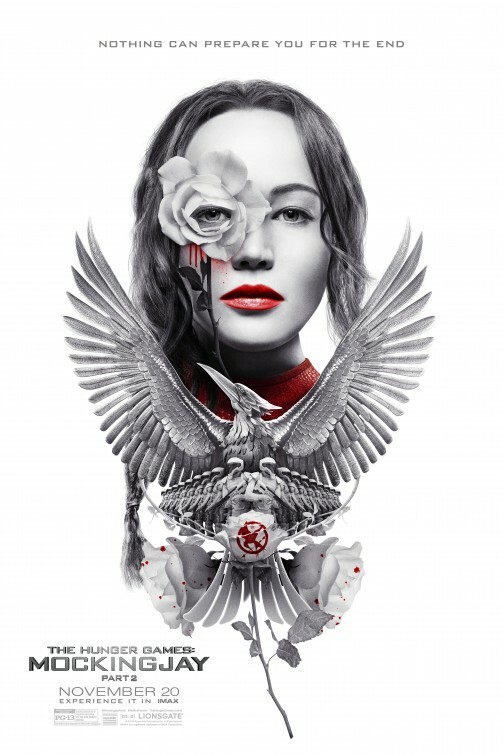 Synopsis: As the war of Panem escalates to the destruction of other districts by the Capitol, Katniss Everdeen, the reluctant leader of the rebellion, must bring together an army against President Snow, while all she holds dear hangs in the balance. 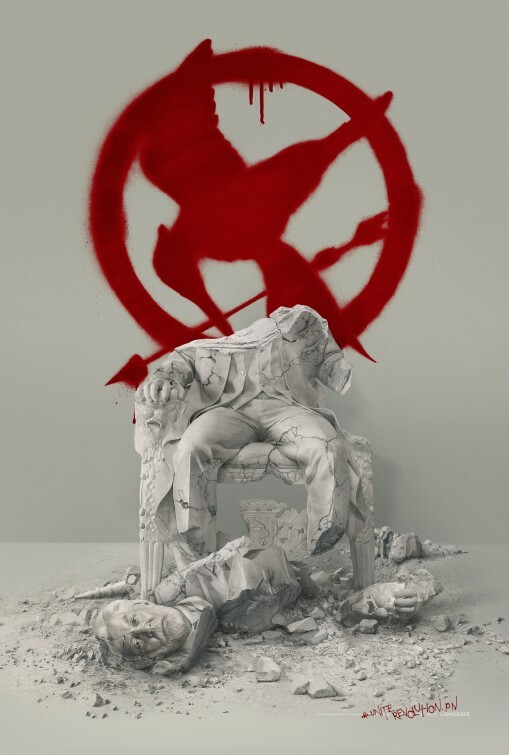 Review: Unlike many readers of Suzanne Collins trilogy of novels, I wasn’t as disappointed in the final entry as most. For me, all three books had their high and low points but Mockingjay was the one that felt like it had the most consequences within its pages. 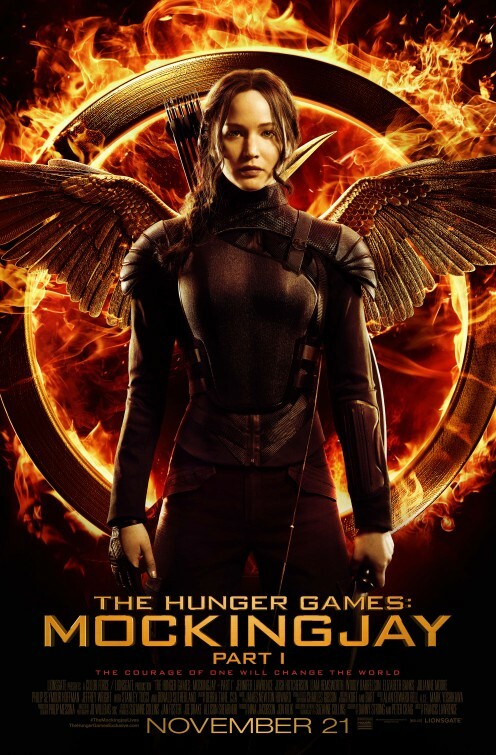 It wasn’t an easy read with the fates of several characters being painfully revealed so it was with great trepidation that I approached The Hunger Games: Mockingjay – Part 2 because I knew what lay ahead. I still feel deep down inside that Mockingjay should have been released as one long movie. Audiences are willing to sit through a three hour (cinema) tour if the characters are appealing and the story engaging and I spent the first hour of Part 2 thinking that it came across as the middle part of a longer film, opening with the part where the action dips and audiences are given a breather before the final act begins. It was a mistake on my part to not re-watch Part 1 before because the film isn’t concerned with bringing anyone up to speed. Needless to say, I can’t write a review of Part 2 without including some spoilers from the previous films so…you’ve been warned. Katniss (Jennifer Lawrence, Silver Linings Playbook, as usual investing herself 130%) is still reeling after being violently reunited with a brainwashed Peeta (Josh Hutcherson, Journey 2: The Mysterious Island), her former ally and would-be love interest. That pushes her back into the arms of brawny Gale (Liam Hemsworth, The Expendables 2) and she still can’t seem to make-up her mind as to who she believes she should be with. There’s no time for dewy eyed romance though with the final drive underway by the rebel army to seize the Capitol and destroy President Snow (Donald Sutherland, Ordinary People) before he can deploy more troops to wipe them off the map. With the rebels being led by President Coin (Julianne Moore, Still Alice, looking fierce with a short haircut, cat-like contacts, and a wardrobe that feels Jetsons-esque) under the advisement of Plutarch (the late Phillip Seymour Hoffman, The Master, in his last film role), Katinss finds a way back to the front line after being remanded to merely being the figurehead mascot of a force of people fighting for their freedom. Katniss has her sights set on Snow and will do anything to be the one to end his reign, if she (along with a small band of allies and officers) can avoid the booby trapped city blocks that lie ahead. I never noticed it until my partner pointed it out to me but with its prominent golden eagles and red color schemes, the leaders in the Capitol have a distinct Nazi vibe going on. Themes of oppression and barbarism plague our real-life news feed and Collins’ novels tapped into some of that. While her world has definite fantastical elements, the underlying message of independence hard won is prescient. The film is light on softness, deciding instead to keep its edges razor sharp and unforgiving. It’s not, I repeat not, a movie parents should remotely consider bringing their young children to. I’d ask parents to heed the PG-13 rating and know that it probably should have carried an R due to the amount of violence and frightening sequences of death. The carnage here is a far cry from the good old days of the first movie where young prospects picked each other off to become the victor of The Hunger Games. Here, the losses are devastating and uncompromising…making for emotional and exhaustive viewing. After taking over for original director Gary Ross, Francis Lawrence (no relation to our star) has helmed the remaining films and done so without making concessions. From the production elements to the costume design and make-up, there’s a fully realized world on display, one that resembles ours but feels distant. Is it futuristic? Other-worldly? Yes and yes…but it also feels like it could be happening mere years from now. That’s a scary thought and one not to dwell too much on. Since the first film was released, Jennifer Lawrence has become a true movie star with an Oscar under her belt yet she doesn’t show any signs of boredom with her involvement here. Other actresses may have started phoning these in once the first checks had cleared but Lawrence takes her job seriously…maybe a bit too seriously at times. No matter, the film has become the success it has largely due to her and the emotional depth she’s brought to a complicated character. Hutcherson too has evolved nicely over the course of the films, not just as his character but as an actor. The main players involved are all given their due (even if Hoffman’s final speech is relegated to being read by Woody Harrelson, Now You See Me) and the good-byes have a sting to them. Watch the final shot of the exquisitely styled Elizabeth Banks (Man on a Ledge) as Effie Trinket and you’ll see how so much can be sadness can be conveyed with a single expression. I wish there were more for Jena Malone to do as Johanna Mason, a tough as nails former victor that both reviles and envies Katniss. Malone made a grand entrance in The Hunger Games: Catching Fire and has been a value add to the series ever since. The final moments of the film may come off as maudlin and treacly to the more jaded among us but it feels like a fitting tying off of a well taken care of commodity. There’s talk of the studio working on a new sequel or a prequel and I would beg of them to drop it. There’s plenty more YA literature waiting for their moment in the cinematic sunshine and the four films that have comprised The Hunger Games franchise have earned their chance to be distinguished. Don’t muck it up. Thoughts: We aren’t that far off now from the beginning of the end for the tale of Katniss Everdeen. Though I’m no fan at all of the recent popular trend of splitting every film franchise written as a trilogy into four movies, in the case of this second sequel to The Hunger Games it may turn out to be a good thing. I’ve yet to read the book the film is based on (choosing instead to read it closer to the release date) but fans of the series have always been divided as to where Mockingjay stands against its printed predecessors with some loving it and some condemning it. So there’s room in two movies for the makers to right some potential wrongs devotees of Katniss and her quest may still be smarting over. It’s going to be a mega-watt blockbuster no matter what…but will Part 1 be more than a device to set the stage for the final hurrah? 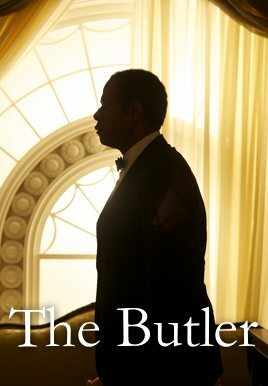 Synopsis: As Cecil Gaines serves eight presidents during his tenure as a butler at the White House, the civil rights movement, Vietnam, and other major events affect this man’s life, family, and American society. Review: Let’s get something out of the way right off the bat. Here’s what a lot of the reviews for this work of historical fiction aren’t telling you – it’s not a very good movie. I’m not quite sure why so many are reluctant to admit that but after seeing the movie maybe you will have your own opinion as to why. 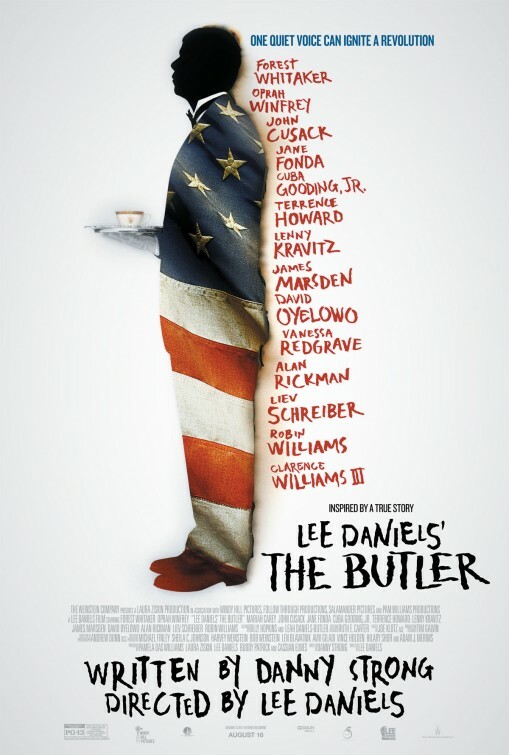 While Lee Daniels’ The Butler is filled with an impressive array of award-winning talent, the film itself is a Forrest Gump-ish mish-mash of coincidence that winds up squandering opportunities for real watercooler discussion material in favor of shoe-horning in more brushes with historical figures. Inspired by a real life White House butler who served eight presidents, screenwriter Danny Strong and director Lee Daniels go their own way and fashion Cecil Gaines (Forest Whitaker, The Last Stand), his wife Gloria (Winfrey), and their two sons Louis (David Oyelowo , Jack Reacher) and Charlie (Elijah Kelley) into figures they can move through history into situations that suit the overall scope of the film in retelling key moments in the Civil Rights Movement. The reason to see the film is Whitaker and, for the incredibly curious, Oprah Winfrey. Whitaker takes Strong’s history 101 kitchen sink script and runs with it, creating a man of impressive worth with a powerful story to tell. It’s too bad that his story and the story of his family are merely a device for the movie to manipulate as the years go by. As written by Strong, Louis is present at every major pivotal moment in Civil Rights history and each president has a moment of solidarity with Cecil. Where Forrest Gump could play off these coincidences as accidental and therefore instilled a sliver of believability, here it just seems like the poorly constructed maneuver it actually is. Absent from the silver screen since 1998’s misfire Beloved, Winfrey makes the most out of a bad situation (and at least two abysmal costumes) and seizes each moment that allows her to emote. With a laid-back, casual acting style, Winfrey may not win any awards for the role (and really, she shouldn’t) but it’s respectable work that you can tell she fought for. I just wish she was in a better film because as her debut performance in 1986’s The Color Purple showed us, she’s a more than capable actress. Rounding out the trio of leads, Oyelowo has the trickiest of the roles because his plot line is the most far-fetched and least fleshed out. Starting off as a peaceful protester in his Southern college town during the beginning of the race riots, he soon joins the Freedom Riders only to be swept up into the violence of the early days of the Black Panther movement. Oyelowo and his girlfriend (gorgeous Yaya Alafia) take on not only Ruth E. Carter’s impressive array of period costumes but handle their historical movements with skilled dedication. Playing presidents and others to largely successful results is a starry line-up that runs the gamut from spot on (Alan Rickman and Jane Fonda as The Reagans, Liev Schreiber as LBJ) to the “Okay, if you say so” (John Cusack as Richard Nixon). Broadway vets Coleman Domingo and Adriane Lenox also turn in well-rounded supporting performances. Cinematographer Andrew Dunn favors a gauzy look which gives the film a humid fuzz that didn’t work for me. It creates a swampy feel whenever we aren’t at the White House and as the years go by and some questionable old age make-up is applied to our actors, the movie feels deliberately out of focus. The score by newcomer Rodrigo Leão sounds like a re-working of The West Wing theme and is neither memorable or telling of the talents of the composer. The movie unspools like clockwork with pretty much every event foreshadowed in an earlier scene. It’s so workmanlike and designed for mass consumption that I’m actually surprised director Daniels wanted to be a part of it. Directing the hard-hitting Precious and the lurid The Paperboy, Daniels seems to like to take his audiences on a journey but here he’s merely a passenger like the rest of us. Originally intended as a project for Spike Lee, the movie feels more convenient than timely…the kind of film viewers can see and pat themselves on the back afterward. Aimed squarely at gaining Oscar nominations, the film made headlines before it was even released when Warner Brothers sued distributor The Weinstein Company over the title. It seems like Warner Brothers had a short film in its vaults from 1916 also called The Butler that they didn’t want the public to confuse with this work from 2013. The comprise was to include the director’s name in front of the title…something I’m sure Lee Daniels had no trouble with. That anyone would confuse the two movies is a mystery to me because I’m sure the earlier film didn’t have a scene with LBJ on the toilet barking out orders. That the film winds up with some small measure of success is thanks to the performances of Whitaker, Winfrey, and Oyelowo with work that rises above Strong’s less than profound script. It’s not a great film but it’s not boring or a total write-off. If anything, I left the screening wanting to know more about the real characters and situations the movie touches on. In the end, any film that brings up the discussion on the evolution of Civil Rights (however ham-fisted the discussion is scripted) in our country earns a qualified recommendation. Synopsis: A look at the life of Eugene Allen, who served eight presidents as the White House’s head butler from 1952 to 1986, and had a unique front-row seat as political and racial history was made. Thoughts: I find myself at a crossroads with Oscar nominated director Lee Daniels. Though I felt his work on Precious was deserving of his Oscar nomination his other work has produced a strong reaction in me – a negative reaction. His first feature, Shadowboxer was a rumpled mess even with star Helen Mirren and his Precious follw-up The Paperboy was an loony exercise that tested the mettle of even the most forgiving audience member. So I’m approaching The Butler with some angst that it will be another Daniels pic with a strong cast that ultimately fails to deliver. On the other hand, this first trailer hints at a movie without its own agenda that could conceivably call upon the strengths of many of the talented cast involved. Releasing in October, I’m hoping this works because I think there’s a good story to tell here.